Okay, so I've never been published in Skirt Magazine, but I am hoping that I will one day. I've only submitted once before, and you can't win if you don't enter. So I'm challenging myself as well as you to write a personal essay for their August issue. You never know - maybe one of us will see our names in print. The title says it all. Facing a challenge, throwing out a challenging, turning down a challenge, and so on. First of all, I'm running out of words, so in the comments section, I am open to suggestions. Secondly, the word this week is "mad." No, I don't mean angry. I'm talking about "mad" as an adjective. Seems weird, you say? I agree. When I first moved to New York City, I started working at a restaurant in midtown and became friends with a guy named Danny. He grew up in Queens and was about five to seven years younger than me. Recently graduated and not yet married, he was still hip to club life and the pop culture that thrives within. A great guy, we became friends. I think he was just as intrigued in my rearing in rural Kentucky as I was with his in Ozone Park, Queens. Anyway, he was eager to show me the ropes of fast-paced city life. Always on his Sidekick, texting at lightning pace, and keeping his hair "fresh" (or was it "tight"? - hmmmm), he was the guy I looked to for all things current. And if he taught me anything during the two years we worked together, it was that "mad" means so much more than "ticked off." Most predominantly used in the greater New York area, "mad" is an appropriate replacement for Northern California's "hella" and Boston's "wicked." In the common vernacular, it translates into "very," "a lot," or "extremely." Can be used almost interchangeably with any of the above listed words. As a writer, I pride myself on choosing the right words in my work - even when I'm writing these blog posts, I will occasionally consult the online dictionary or thesaurus - so you can imagine my glee at learning to use an old word in a new way. I was at first baffled when Danny would say, "Yo, it's mad busy today," or "Check it, that song is mad hot." But soon, my fascination with the descriptive leniency of this adjective became an infatuation. I started dropping "mad" here and there in everyday conversation - and oh yes, I did it with a straight face. Let's be honest: I am not too proud to pose. 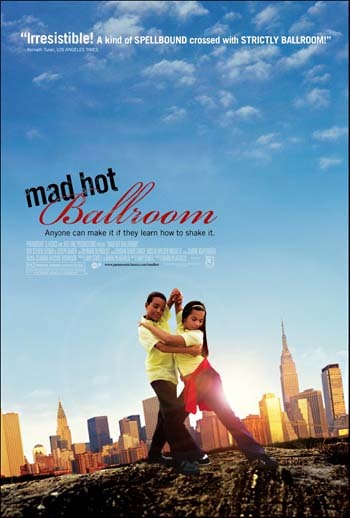 Then I was introduced to the killer documentary Mad Hot Ballroom about New York City public school elementary students learning and competing in ballroom dance, and that solidified the urban definition for me - made it legit. I mean, the documentary could just as easily have been called Very Hot Ballroom, but then you'd get the image of senior night at the community center: old folks and hand fans. Totally different vibe. So, if we've learned anything today, it's to listen to our youth. They're mad hip. And isn't it refreshing how they took such a negative word and gave it a totally fresh spin? They deserve mad props. Keep it real. Word to your motha. Peace. Hey folks. Today's prompt is once again based off of an upcoming issue of Underwired Magazine. The July issue is The Pop Issue and for your personal essay to be considered, you'll need to write an 800-1200 word essay and email it to them by June 1 - that's next Wednesday. So get to crackin'! Pop music, pop art... All things pop culture. And, of course, popping the question. They pay 100 smackers, plus you get to crack your knuckles and write down a little bit of personal history. So get to it! When Knox was almost 6 months old, my BFF was in town visiting and stayed home with the baby while Jerrod and I went to church. For the first time since giving birth, my husband put his arm around me during the service, kissed me on the cheek a few times, and took communion with me. We actually listened to the sermon and even followed along with the message notes our church provided, filling in the blanks and reading the scriptures aloud with the rest of the congregation. We weren't rocking the baby, fiddling with the stroller, sneaking out to feed him, or being generally distracted by his utter and all-absorbing cuteness. Since that day, I have been a broken record: "It's time to put Knox in the nursery." But my husband wouldn't hear of it. While I'm home with the baby all day every day, the weekends are 48 hours that Jerrod gets with Knox and he doesn't like to be away from him for a second. So as the baby has grown, gotten bigger, louder, and much more mobile, we have gone through sermons with the little guy squirming on our laps. With each squeal and gurgle, members of the church sitting close enough to us would turn and smile... or just turn... and I hated distracting them from a message that God could really be trying to apply in their lives. "We've got to start putting him in the nursery," I kept saying. "They like it," he would reply. A few weeks ago, the pastor was preaching on asking God to use us in powerful ways, but said that we need to be sure that's what we really want because God will answer. So, for example, if you pray for patience, God doesn't just magically make you a patient person; instead, He puts obstacles in your path so that you might exercise patience, to which 9 month old Knox loudly yelled, "WHOA!" (thus, providing me with an opportunity to practice patience as everyone looked around). So yesterday, my husband surprised me by saying, "Are we putting Knox in the nursery today?" I couldn't believe it. I had been wanting to for a while and he was actually suggesting it! Confidently, I marched down the hallway to the nursery with the baby on my hip. As the girl started to fill out a name tag to stick on Knox's back, I felt my confidence falter, but only a tad. We were given a number that corresponded to Knox's so that, in an emergency, it would flash on the screen behind the pastor and we could be notified to report to the nursery. I glanced at the number and tucked it into my front pocket where I was sure not to lose it, then walked to the nursery room for drop off. "Do you need some help?" I asked her, Knox still firmly on my hip. "Well, another girl is here but she just took her daughter to the bathroom," she answered, looking toward the door, overwhelmed. A one year old boy on the floor started to cry. "She'll be right back." "Maybe I should stay?" I offered. "Yeah, could you?" she asked, "I mean, just til she gets back." I plopped Knox down on the foam tiles and (ashamed to say so) I felt better that I'd be staying with him. Maybe nursery baby steps were what I- uh, er, Knox- needed. Just then, the other girl showed up. "Oh here she is. Thanks, but we've got it." They both smiled at me and Knox reached for a rattle. He clapped his hands and ignored me. "Okay," I said, inching out of the room. I just knew that Knox would realize that I was leaving and lose his mind. I just knew with each step that he was about to go berserk. He's almost 10 months old - all the emails say he should be experiencing separation anxiety; yet rather than sneak out, I said loudly, "Okay, I'll just go then." Knox heard me and turned. Then, he smiled up at me, a big toothy care-free grin. Without missing a beat, he then turned toward a baby girl beside him and made a grab for her ruffled sock. So he's fine, I thought to myself. Totally fine. We're late, I should get in there. I turned away and forced myself to walk out of the room, but before I could leave, one of the girls got up from her folding chair and I saw it crash onto the head of the baby boy who was already crying earlier. She rushed to lock the chair and scooped up the baby, obviously feeling terrible. Every reflex in my body caused me to turn back toward my own child, but I forced my brain to win out over my heart: accidents happen, these are good girls, Knox is fine, go to church, meet your husband, step away from the baby. I hurriedly left the room, a la ripping off a band-aid, and walked quickly to the lobby. When my husband walked in, he headed toward the nursery. "To check on Knox," he said. And then started to cry. "Oh, no!" he said, stopping in his tracks. He was on a mission to check on Knox, but when he saw the tears streaming (seriously, it was ridiculous) down my face, he paused to wrap both arms around me. Of course when I pulled away and seemed to have it under control, he made a beeline toward the nursery to peek in. So yeah, at 9 months, there is separation anxiety. We just thought it would be the baby, not us. We've seen babies cling to their mothers' necks, cry and cry when left alone, be peeled off their daddy's legs; but Knox was fine. We were the ones that were a mess. During the service, things were actually really nice. Jerrod put his arm around my shoulders, we whispered to each other about verses we like, we had a semblance of lives before the baby. Okay, we're figuring this out. We're getting into a new life rhythm. Then this message flashed up on screen: PARENT OF CHILD 659 REPORT TO NURSERY. Jerrod's hand tensed up on my shoulder. 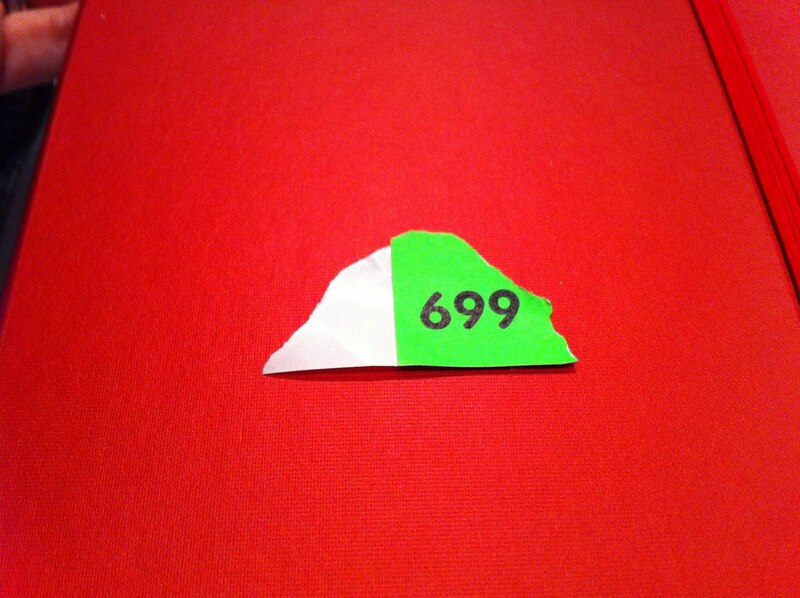 I dug into my pocket and held up our number: 669. Whew, not us. Knox is fine. "Maybe I should go check on him, just in case," Jerrod said. "No," I answered, holding his hand, determined to fight against the cliches of first-time parents and emotional irrationality. "Knox is fine. His is 669." "Or wait. Is it 699?" Oh no. Our confidence faltered... again. I shook my head. Either way, Knox is fine. The number that flashed up on screen was... wait, what was that number? Then the pastor showed a clip from one of the many Rocky movies where Sly is talking to his son. It's a passionate scene in the street, looks cold or rainy, and father and son stand there facing off. Sly tells his son that he is the best thing in his life, his blood, his heart. Tells his son how much he loves him. When the clip ended and the lights came up, Jerrod turned to me again. "Maybe I should go check on Knox." Of course, Knox was fine. If anything, he was embarrassed that his folks ruined his cred in front of the other babies. Next week, he's gonna have to knock over somebody's block castle or swipe a toy and not share, just to restore his reputation as a tough guy. So the word this week is "peeps," and I'm not talking about the delightful Easter-time sugary confection. I'm talking about your homeboys, your girlfriends, your posse, your inner circle. I'm talking about the folks that you could call up on the phone cause you already have their number in your contacts. These are people you connect with, you vibe with, people you know. These people are so true and loyal to you that when you call them peeps, you never do so without the word "my" in front. Me and my peeps are having a get together this Saturday. Either way, it's clear that in today's pop culture, one's "peeps" are folks considered to be more than a mere acquaintance. I've told you in a recent Word Up Wednesday about the enjoyment my dad gets out of incorporating hip lingo into his vernacular. Remember how I described the twinkle in his eye when he voraciously used the word "Cha Ching" during my youth? Well now, it's peeps. He wrote in an email, "I've got some peeps coming by to look at the farm." I asked, "These are friends of yours?" "No," he said, "they're off of Craigslist, from South Carolina." I tried to tell him that the slang is most commonly used to describe people that you're close to like friends, family, or homeboys. To which he replied, "Oh, I didn't know. I just use it as short for 'people' when I'm typing." "But Dad," I tried to sway him, "please note that peeps is only one letter shy of people, therefore not really a shortcut at all. Maybe 'ppl' is what you're looking for." But slowly, and let's face it - inevitably - 'peeps' returned. "Are you gonna have some peeps look at your car battery?" he asked me last week. Well Dad, unless there's an auto shop up here in Queens run by some of my nearest and dearest, then no, I am not. I would venture to say that the majority of my subway commuting homies couldn't even change a tire, much less replace a car battery. I am instead bound to get ripped off by some slick talkers and their peeps. And PS, Dad, in my middle age, I now love the silly corny jokes and cheesy puns. I have even forgiven you for the time that you once said "bummer" in front of a boy I liked at Space Camp in fifth grade. But for the sake of your own street cred, remember this: Buddy and Lucky = your peeps. Mom and me = your peeps. Hardee's drive-thru employees = ppl (and perhaps, enablers). Okay, my peeps. Sound off! This week tweeps, you get a little peek into the life of one of my dearest pals, Lisa Mantineo. Originally from New Jersey, she has traveled to Kentucky twice just to check out my old stomping grounds, (my dad even let her ride his four-wheeler over our farm and she almost hit a cow, but I digress). She has been one of my most loyal supporters as I have carved out a life and career here in NYC, so I'm thrilled to interview her this week so that the rest of you out there get to know her just a little bit. LM: I have favorites in different genres and from different stages of my life. In fact there have been times when I've become so obsessed with an author, I've done my best to buy every single thing he or she has written to prove (to myself?) how much I like their work. This book hoarding obsession began at the age of 9 during a family trip to Colorado; my mother and I had gone to a second hand book store and I picked up my first Nancy Drew mystery. From Nancy I went on to obsess over The Babysitters Club, R. L. Stine's Fear Street series, and like every good Irish-Catholic girl from New Jersey, Mary Higgins Clark. All that being said, since I first found my love for books, I've constantly found myself wandering down the mystery and suspense aisle more often than not. And in that category, Lois Duncan's "Summer of Fear" will always stand out as a page turner. I first became fascinated with the book when my older sister borrowed it from the library and then proceeded to share with me this story about a girl who upon a visit from a distant cousin, finds her world turning upside down, and begins to ask the question, who is this stranger in my house? I don't want to give any of it away, in case you haven't read it. LM: I am from the great township of Saddle Brook in the amazing state of New Jersey, (originally known as Saddle River Township). "The Brook" as those born and raised there fondly refer to it, is often confused with its much wealthier cousins Saddle River and Upper Saddle River. I know it can get confusing once a body of water is included in a town's name, but I assure you a former President (Nixon) has NEVER lived in "the Brook," it only covers about 2.69 square miles! If you were to come visit me in Saddle Brook, I would want it to be during the summer in the month of July. We would start off the morning by going to the Saddle Brook Diner, where you could enjoy anything your heart desires. After breakfast we could take a walk in the Otto C. Pehle section of the county park that runs through the middle of town. If you bring your fishing pole we may have some luck catching Sunnies in the pond! The park is huge and has a number of different playgrounds, so bring Knox along. After spending time in the park, we can head over to Cambridge Avenue and hang out in "the field." This is the main soccer and recreation field in town, and also happens to be directly across the street from my parent's house. After all of this outdoor activity, I am sure we will have worked up an appetite. I'd love to take you to Township Fountain, which is this really great luncheonette in town. 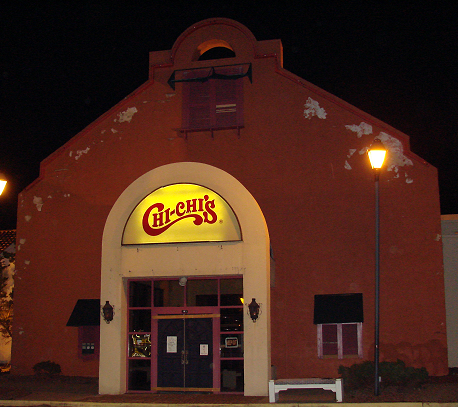 In middle school and high school we used to go there for lunch. Their Hamburger Special ($3.00 for a hamburger, fries and a can of soda) can't be beat! Each July the local Catholic church throws a carnival, or as they deem it "The Festival of Fun." Everybody who's anybody can be found here, and this is definitely where we should go in the evening. They have all the classic rides from 'Big Eli' the Ferris wheel, to the Flying Bobs, and of course The Round-Up. And in case I haven't fed you enough on this trip, they've got a ton of food stands from zeppoles (Italian fried dough), to hot dogs and delicious food from the local Pizza place. You can also try your luck at one of the many games of chance, and I highly advise you buy a ticket for the 50/50 - in 1986 my Mom won a Chevy Nova just by playing! So take a look at your schedule now and we can make this happen - you, me, Knox and maybe even Jerrod - this summer a day of fun in good 'ole SB. LM: Get ready to laugh because after watching their amazing infomercial, I became the proud follower of @PajamaJean That's right, it's true, I follow Pajama Jeans on twitter. More out of fascination for this magical creation, and also to see if they are expanding their bossome product line. Please note, me following them on twitter actually inspired my younger sister to place an order for her own pair. Ha! Amazing. I, too, loved The Babysitter's Club series and tend to be a book hoarder, although in such a small apartment, I've had to donate many to Goodwill... but I haven't done it with goodwill - more so with a begrudging attitude if we're being honest. I remember the field by your folks' house in The Brook and am eager to check out this Festival Of Fun. I'm also intrigued by "Italian fried dough"... Lastly, PajamaJean? Really? I don't even know what to say. But as per the standard, I am obligated to follow them this week per your recommendation. Thanks for the interview! Everybody check Lisa out on Twitter @LisaMMonty. "The baby's too sick, I can't go out," she said. Just the one in the bed and the little one said, "Roll over, roll over." A thud sounded through the house as he landed on his head. Momma scooped him up and put the baby on her hip. And she's never felt worse. Okay, so that's not exactly how the children's song goes, but it's pretty close to what happened last Thursday night while visiting my family on vacation at the Poconos in Pennsylvania. Knox was up all night Wednesday with cold-like symptoms, but seemed to be in a better mood throughout the day Thursday. I was hoping it was just the pollen that had gotten to him, but then that night, he was once again warm and had developed a cough, thus momma-dependent and disinterested in his pack n play, opting rather to sleep with me in my bed. As usual, I prepared what my husband and I call "Fort Knox" - lining the edges of the bed with pillows - because the last thing I ever wanted to happen to my baby was for him to fall out of bed. He was so sick and cranky (therefore whiny and clingy), so I was lying in bed on my side next to him singing, playing with his hair, and allowing him to breastfeed when he wanted to help soothe him. My sister was patiently waiting for me to make a McDonald's run with her (we were craving milkshakes); but Knox had been fighting falling to sleep for over an hour and I realized that our dairy dream was not to be. As he finally drifted off, I slipped out of bed to tell her that I was going to have to stay. I grabbed my toothbrush off the dresser and checked the bed. Knox was all the way over to one edge, but the pillows next to him would protect him. I thought about lining the other side too, where I had been lying, but he would have to really roll to get over there which seemed unlikely seeing as A) he was dead asleep (finally), and B) I would be right back. Having reenacted the night multiple times out of shame and self-loathing, I can now tell you that I took exactly four steps to the balcony in the hallway outside my room to tell my sister in the den below, "I can't go to McDonald's, Bobbie Jo. He's too sick." To which she replied, "Okay." There. The whole conversation. Succinct. Quick. Non-negligent. I then took another four steps, peeked in the bedroom where all was well, and took six steps to the bathroom for a quick brushing of the teeth, (which yeah, in hindsight, was pushing it). I got about three back n forths of the brush across one side of my teeth when I heard the sickest, loudest, most shuddersome THUD of my entire life. I knew. I just knew. I ran to the bedroom with my toothbrush hanging out of my mouth, the gel paste not even dissolved into that nice foamy lather you really look for when aspiring for fresh breath and a plaque free teeth. There on the thin carpet next to my bed was my nine month old baby, face down, hoarse from bout two of the croup, crying. He had rolled over twice, avoiding the fort like barrier of pillows on 3/4 of the surface area of the bed, and working his way over to where he must've assumed his mother to still be. Alas, she was not. I scooped him up, my heart racing. He was still half asleep, eyes puffy and nose running, crying softly in a half sick / half "what just happened" way. He seemed more startled than anything. He clung to me, hugging fiercely, his little hands wrapping around those super tender baby hairs at the back of my neck that always escape my ponytails. I shushed him, rocked him, rubbed his back. I ran downstairs with him to my own mother, explaining what happened, and allowing myself to be soothed by her. "It's okay," she kept saying. "You're not a bad mother. This happens to everybody." She was saying all the right things, but the bruise on his lip was heart-wrenching. "I'll never forget the first time you fell off the bed." And that got my attention. My sister and I looked at each other, eyebrows cocked. My mom continued, "Yeah, all of you all fell off the bed." And I'm pretty sure that's when I was able to start laughing about it. Cause you know, if it's not one thing, it's ten. And I was so tired and so exhausted and so shaken, that if I didn't laugh, I would surely cry. Because, let's be honest. At Christmas, when Knox was really just learning to roll over, my dad said to me, "Just wait til the first time he rolls off the bed." And I said to him, "The first time?" amazed not only that he thought there would ever be a time, not to mention that if there were, I would allow it to happen again. And it's just funny. I mean, because unbeknownst to me, the early 80's were apparently filled to the brim with several instances of baby-Whitaker nose dives off the couch and bed. It's not enough that it happened to me (more than once), but my brother and sister suffered similar launches. At Christmas when my dad told me that, I remember thinking, "Should I really let them babysit? I mean, what were my parents doing? Why'd they keep putting us up on the bed once we'd rolled off? Just seeing how well we were made?" And now, I have become my parents. As my BFF Whitney said, "cut from the same cloth." But truly, I have awesome parents! So it's a rite of passage. Knox has superhuman healing powers because his busted lip is already a memory, and something he didn't seem to notice while it was there. And although I think I should, I just don't have the energy to beat myself up for it. So I've decided to adopt his daddy's attitude, that falling off the bed will "make him tough." As I sit here with my father, in a booth at McDonalds in the Poconos, I am reminded of vacations in my earlier years. Mom and Dad drove us all over the country so we could see beaches, mountains, museums, and the way other folks live. I remember scanning the scenery in games of "I Spy" on those roadtrips, playing my brother's Gameboy, and reading Sweet Valley Twins books as the mileage continued to climb on the family car. But what sticks out to me now, right now, is that my dad has done a 180 in life when it comes to The Golden Arches. Instead of, "Are we there yet? ", my siblings and I would instead ask, "Can we eat at McDonald's?" A Hardees man, my father would groan and do all he could to avoid getting us Happy Meals. He didn't like McDonald's and it was a treat when we could convince him to pull the mini-van around the drive-thru. Oftentimes, he would even get us what we wanted and then drive to the pull up window at Wendy's or Arby's for himself. Now I know that Wi-fi is the real reason we are here right now. I haven't been able to blog from our hotel and he hasn't been able to read the news, but I wonder if free wi-fi at McDonald's isn't just a ruse to pack away another quarter-pounder. And listen, I'm not complaining. I love the ice cream cones here. I dig the fries. And I would be lying if I didn't also have a penchant for McDonald's coke, (I mean, what in the world do they do to their fountain cokes here?!). But it is truly fascinating to me that my dad is now a champion for McDonald's and all it has to offer. What about you? Have your parents changed post-retirement? In what ways? Also - McDonald's - I'm lovin' it or It's killin' me? Momma Mondays - My First Mother's Day! Okay, so a big ol' load of bossomeness happened to me today. First, today was Knox's baby dedication at church and he was dressed to the nines! I don't need to tell you how adorable he was... (but I will)... The little man was decked out in a blue and yellow plaid button up with a blue sailboat vest on top and khakis. Can you say, Polo model? It was a gift from Gramma and Granddad, who drove up from Kentucky with my sister for the special occasion. And special it really was. The pastor asked us to pray for our son daily and guide him in his spiritual walk and set a Godly example. Whoa. Talk about feeling like a grown up! But seriously, it was a simple yet important family moment. Second reason today was killer: I wore a pre-pregnancy dress to church today. Woo-hoo! I filled it out differently than before, (no, my hips are no longer lying), but I felt great. After I gave birth, my acting agent told me, "Nine months up and nine months down." Well, I'm not fit or in shape, but the little tyke is 9 months 2 weeks, and I'm squeezing back into the pre-Knox era clothes and feeling good about it. Third thing that made today dope was my Mother's Day gift. Knox and his dad got me a Coke and bag of Snickers (my favorite snacks), about 15 new gel ink pens (cause Jerrod always steals mine), and best of all, a really nice card. I have to admit it, right here and now I'll tell you, I love words and I love compliments. Yes! Tell me I'm great and I'll love you forever! No, I know that may sound bad, but sometimes you just want to hear that the work you do every day is noticed. So it was nice to read a sweet note from my guys saying how much they love me and appreciate the little ways that I take care of them (and the big ways, too). Did I mention the card was in Spanish? My infant is a genius. Lastly, the day was gorgeous. 70 degrees, my husband grilled out for us on the patio (bone-in pork chops, corn on the cob, steamed broccoli, biscuits, and fresh strawberries), and a nice walk to the park so we could take turns pushing Knox in the swing and riding down the kiddie slides with him in our laps. The definition of greatness was May 8, 2011. So since I've had the baby, I've had no time for my previous hobbies like reading, going to the movies, or watching reality television. (I'm lucky to keep up with the Housewives these days!) Whereas I used to finish a book in a couple of days, it can now take a couple of weeks; which is not at all to comment on whether or not the book is engaging, but moreover a statement on the very little time I have alone. 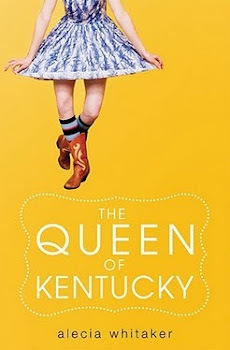 As you'll recall from yesterday's blog post, one of my favorite teachers Mrs. Arnold encouraged all of her students to read voraciously in order to attend a panel at UK based on Newberry Honor books. Hatchet was on that list and I remember everybody loving it... especially the boys in our class. The weird thing is that this book has always stayed with me, but I actually never read it. I just remember the rave reviews from the book reports folks in class gave. So when I found the book the other day, I put it in the basket of the stroller and decided to finally see what all the hype was about. I was able to read it in bits and pieces, on the train if the baby and I had to go to Manhattan, at night while my husband gave Knox his bath, and on occasional trips to the bathroom (if we're really being honest here). The book is only 195 pages long and the typeset is big, but it took me three weeks to finish! Mrs. Arnold (now Mrs. Feix) would be so disappointed. But it was worth the read. I was surprised at how long the author let thirteen-year-old Brian stay out in the Canadian forest alone and learning to survive. I thought that was a brave writer's choice and I appreciated struggling each day with the main character, basically witnessing the transition from boy to man. I texted my friend Haviland a few weeks ago that I was reading Hatchet, and he replied, "The drama!" Not having read it before, I was curious as to what he meant; and as I navigated food, fire, shelter, and his parents' divorce with the protagonist, I felt that Haviland hit the nail on the head. And what's even more interesting is that his response was so impassioned for a book he hasn't read in over fifteen years. So Paulsen does a good job at crafting a survival story that doesn't feel forced or fake; rather, quite authentic. But more than that, while I didn't rush to read it as an eleven year old girl, I can now appreciate Hatchet as a young adult book that appeals to boys, and one that I think my son Knox will one day love. In the sixth grade, one of my favorite teachers Mrs. Arnold (now Mrs. Feix I think) encouraged all of her students to read voraciously. She compiled a long list of Newberry Honor books and we had several months to read as many as possible and do a small book report on each one. She gave us Garfield stickers and bookmarks, but the real prize was a trip to the University of Kentucky in Lexington where we would discuss the books we had read that year with selected English instructors from across the state that made up a Newberry Panel. Now I loved a good field trip. And I loved reading. I had my nose in a book every day that year, walking to class and reading in the hallways, bumping into kids along the way. I hid a flashlight under my pillow at home so that I could really attack the reading list. I read almost 80 books that year - killer - and yet still didn't beat John Lynch, who I think beat me by a couple of books. Grrr... Still, I got to go on the field trip to UK. The part I remember most about this field trip was that after we went to the panel, Mrs. Arnold took us to Chi-Chi's, a chain restaurant specializing in Mexican food. I was immediately worried! I'd never had Mexican food and just knew I wouldn't like anything on the menu. My dad was a meat and potatoes man, the king of bland food, and my mom only cooked things he liked. So we ate roast beef and cornbread and green beans and eggs, but we didn't hammer them with pepper, onions, or tobasco sauce. Puh-lease! My friends were dipping into the chips and salsa like old pros, but I figured it would be too spicy for me, so I tried to sneak chips sans-salsa when my friends weren't looking. And then the waiter appeared. "I'll go last," I said quickly, ducking back under my menu. "I'll have a chicken quesadilla." Oh, 'dee-ya.' I would've gone with 'dill-a.' This is so stressful. "Steak fajitas for me." 'Fa-hee-tas?' Was there anything on this menu I could even pronounce? "Taco salad with a side of guac." Everything sounded so exotic. "A hot dog!" I shrieked with glee. I looked up at the waiter, my face full of joy. I had scoured the menu and finally found the Kid's Menu on the back. Truthfully, I didn't like being thought of as a kid anymore, but technically, I wasn't twelve... yet. My friends cocked their eyebrows along with the waiter, but I confidently ordered a hot dog with fries, my blood pressure returned to normal, and I finished the day wiser - not only in the way of books, but in culinary experiences as well. Word Up Wednesday - Cha-ching! Do you remember it folks? "Cha-ching!" was slang I took hold to with both hands. Coupled with an awesome motion like bringing your fist down in a pump, "Cha-ching!" was a staple in conversations of my youth. The Urban Dictionary defines it as "an exclamation connoting elation over a success or personal triumph of some kind, which was coined by the actor Seth Green, in 1992, in a Wendy's commercial - after which it spiraled off into existence becoming one of the more hackneyed expressions of the 90s." "Our middle school speech team just won State! Cha-ching!" "Mom's letting me have a slumber party Friday night. Cha-ching!" "My dad paid me five bucks to mow the yard today. Cha-ching!" Imagine my enthusiasm: skinny little middle schooler, sporting retainers and turtlenecks, the shortest in her class and the peppiest, too. I clung to pop culture like a hungry dog to meat. Without cable TV or a subscription to YM magazine, I was always late to the game, but eager to play. Another person late to the pop culture game? My father. Another person just as enthusiastic when he catches wind of the hip new trends? Same guy. This is what leads me to cringe to this day every time I hear, "Cha-ching!" Whether the words or just the sound (it can be a doggone cash register at the deli even! ), when I hear that sound, I am taken back to every girl's nightmare: her dad pumping his fist and using the current slang in front of - not only her friends - but THE BOY SHE LIKES. I was never kissed on the lips in middle school unless a Coke bottle deemed it so. I blame this on my father. Cause on every romantic hay ride, during every slow song at a middle school dance, and every couples skate at the roller rink, I knew my corny dad was lurking in the shadows, fist at the ready, slang at the tip of his teeth. What about you? Did you have a "cool dad" or at least one that deemed himself to be so? Please tell me I'm not alone. Happy Tuesday, Tweeple! 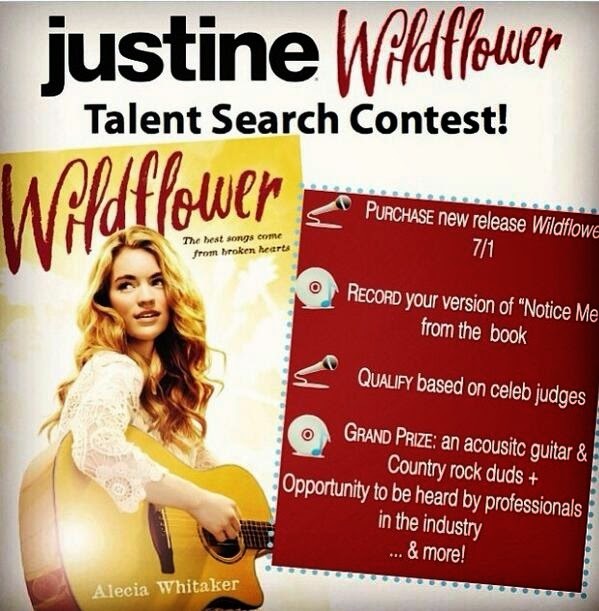 Today's interview features my little sister (and newest Twitter follower) Bobbie Jo Whitaker. You will never run into her without finding a book somewhere on her person. She reads all the time, shocking some non-readers like my brother by re-reading favorites. Whether propped on the couch or bouncing along in a car, she's got her nose in a book. Bored with dinner conversation? Yes, it's true, I've even known her to read at the dinner table... in a restaurant. Besides being a fan of books, I've always known her to be a fan of mine. Hence, she was the perfect family member to interview on the blog. Without further ado, Miss Bobbie Jo Whitaker. BJW: Oh wow. This is a crazy difficult question. There are books that I’ve read so many times that I’ve torn the bindings but they’re not necessarily my favorite books. I think I have to go with Ender’s Game by Orson Scott Card. It follows an extremely intelligent young boy named Ender Wiggin as he is pushed through Battle School. Battle School is a place for gifted children to learn the art of war in order to beat the Formics; an alien race bent on destroying Earth. It sounds sci-fi and cheesy, but it’s definitely not. This is a book that I couldn’t put down and I find myself recommending to several people. While it is a standalone book I had to read the entire Ender series because Ender’s Game is so good. I hope you enjoy. BJW: While Cynthiana may not be an exciting metropolis, there is one attraction that has haunted me since my sister (you) first started working there many years ago. Rohs Opera House. Rohs is the local theater and one scary place, (especially for those at the tender age of eight who are helping their sister clean). The Lady in White (I believe her name to be Ethel) is a ghost that haunts the Opera House and likes to play tricks on its guests. She’s turned off lights, made noises, written messages on chalkboards, overturned chairs and has even been seen by a select few. We would definitely go to Rohs in the evening and see if the Lady would grace us with her presence. BJW: I feel as though the people I’ve tried to follow and yet failed would surprise my friends most. First I tried to go old school and follow MacGyver and Chuck Norris. I just knew that soon I’d be reading tweets about near death experiences that were narrowly avoided because of duct tape, paper clips, or a good old fashion roundhouse kick. But instead, all I found were posers and clichés. Then I tried to find someone I just discovered a few months ago…Antoine Dodson. He is somehow not on Twitter. Perhaps he is still chasing his really dumb homeboy, for real. After all of my endeavors sadly failed, I went back in time again. The newest catch word “bossome” has been stuck in my head lately and Tony Danza from Who’s the Boss came to mind. I clicked on his profile only to realize that he is now old, kind of lame, and that he has some of the most worthless tweets I’ve ever read. Needless to say, I did not follow him. I finally hit the jackpot with Brian Baumgartner who plays Kevin Malone on The Office. I feel as though he doesn’t get near enough credit on the show because he is absolutely hilarious. So there you go. Kevin Malone is my guilty pleasure. Okay, first of all, I don't know how I've not read Ender's Game but consider it on my list. Secondly, yeah, Rohs Opera House is super scary, but it's also cool to think of all the history wrapped up in that place. I mean, folks used to watch opera there... opera! And lastly, I love that you not only joined Twitter for this interview, but also scoured the site for Chuck Norris. Ah-mazing. Thanks for the interview! Hey Tweeps, go Follow my sis @Beege64. Well, well, well. Look who's got an attitude. Granted, the little fellow has been sick for the past two weeks. It should also be noted that he was on steroids for his swollen voice box and windpipe. And I'll concede that he was so stuffed up, that he could hardly breathe. But ladies and gentlemen of the jury, I ask you: are these just causes to twirl his stuffed animals above his head and launch them out of his crib in a fit of frustration? Do these reasons justify the defendant's blatant use of fists and teeth (punching and biting, respectfully)? Should this child continue to wreak havoc on his family while providing none of the financial or household support, yet contributing with glee to the sleep deprivation and random sprays of urine on all members present? I suggest that you look past his Dr. Jekyll facade when determining your verdict in the case of Tired Momma vs. Strong-Willed Infant. Look past his mesmerizing blue eyes that sparkle when his father walks in the door after a long day of work. Try to see beyond a dimpled, wide-stretched smile that flaunts five glorious tooth buds and is flashed to family and strangers alike. I urge you to beware his chunky little cheeks and meaty little thighs, take caution from that round squishy belly and those little bubble toes. When he says, "Da-da," and coos, "Ma-ma," close your ears to such sweetness, block out the squeals of delight as he learns to clap his hands and practices an awkward, yet certain wave. Do not succumb to his precious giggle, and the adorable babbling he mutters as he plays contentedly by himself. Oh wait. Where was I? The baby just stopped playing and twisted around with both arms up, held them there and fussed until I reached down and allowed him to give me a hug and let him gnaw on my cheek with a slobbery open-mouthed kiss. Then he let go and smiled before turning back to his blocks again. All charges are dropped. He is innocent when guilty, perfectly imperfect, and incapable of being culpable. Humbly, I rest my case.